I’m not entirely sure I understood what was happening in The Girl in the Spider’s Web. Yes, I know, I’m not supposed to tell you that I lost my way around an action film. But crikey, this thing is complicated. For a start, it’s actually a “soft reboot” (stay with me, now) of — and a long-awaited sequel to — the David Fincher version (the one with Rooney Mara and Daniel Craig) of Stieg Larsson’s Millennium film series (ie. the English-language one, still set in Sweden). Jaypers, I don’t even know if I explained that bit right. Listen, if you’re a fan of these things, you’ll know what I’m talking about. Basically, everyone from Fincher’s The Girl with the Dragon Tattoo (including Fincher) has been replaced, and the always reliable Claire Foy is our new Lisbeth Salander, the vigilante hacker who spends her evenings beating up nasty men. In The Girl in the Spider’s Web, which is actually based on a novel by David Lagercrantz (yes, another complication), Lisbeth gets a bit more of a backstory (her dad was a monster) and, oh yes, ends up going after some very bad dudes over a computer programme that can access nuclear codes. There is a gifted child in there, too. Stephen Merchant shows up. The talented Lakeith Stanfield somehow works his way into the mix. And let’s not forget about handsome journo, Mikael Blomkvist (Sverrir Gudnason, replacing Daniel Craig), aka, Lisbeth’s sidekick. Together, they are the Swedish Batman and Robin. Or maybe they’re the Swedish Bond and M. Wait, I’ve got it! 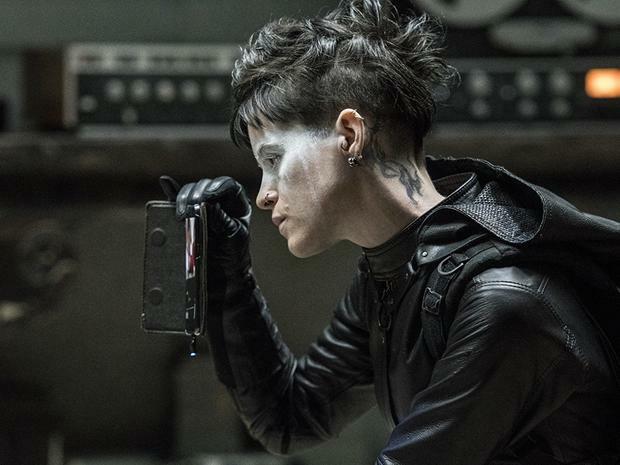 The Girl in the Spider’s Web is the Bond/Batman crossover that you didn’t ask for, and it is utterly fascinating to watch. Why? Because everyone — especially Foy, bringing extra emotional depth to proceedings — tries their hardest to convince us that they know what’s going on, and it’s a mightily impressive sight. Likewise, director Fede Álvarez irons out one complication after another with a series of wildly implausible/seriously impressive (take your pick) action sequences. Yes, there are huge problems. Trying to work out the mechanics of the plot, for example, might cause your head to explode. The wonderful Vicky Krieps is given nothing to do. Sylvia Hoeks is a terrible baddie. But that’s okay. A brilliant Claire Foy is at the top of her game here, even if the rest of the film isn’t.